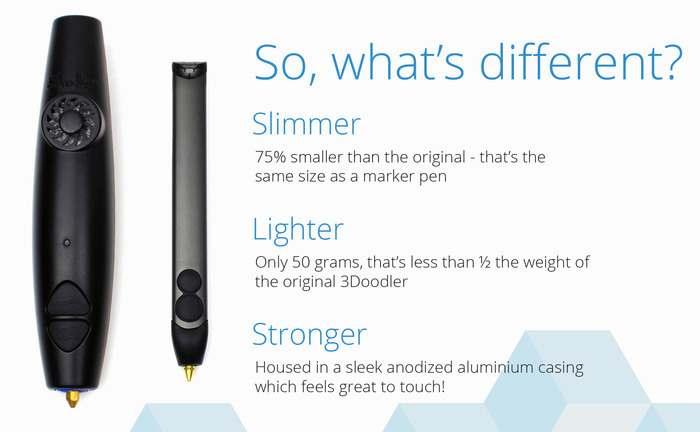 Do you remember the original 3Doodler, the “World’s First 3D Printing Pen” from its Kickstarter campaign or our 2014 Geek is Chic Faceboook Christmas’ concourse 2nd price? 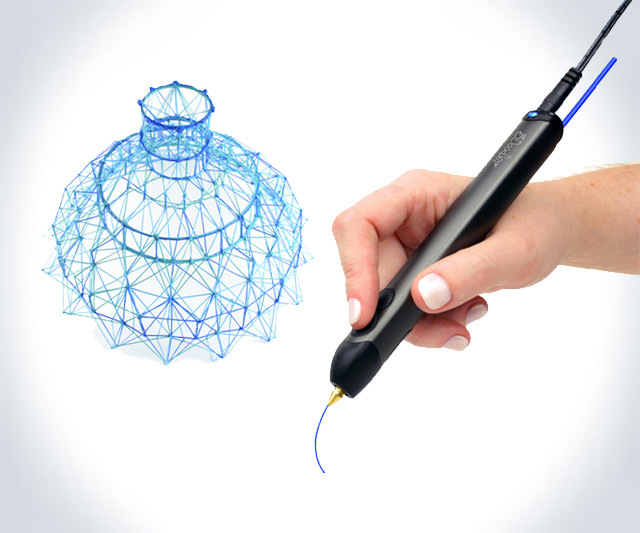 The 2nd version of this 3D printing pen you can hold in your hand to scribble freestyle, fix or draw solid items just launched the market! 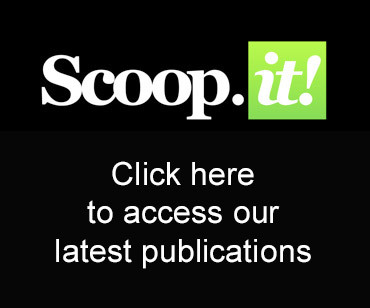 The same, only even better! 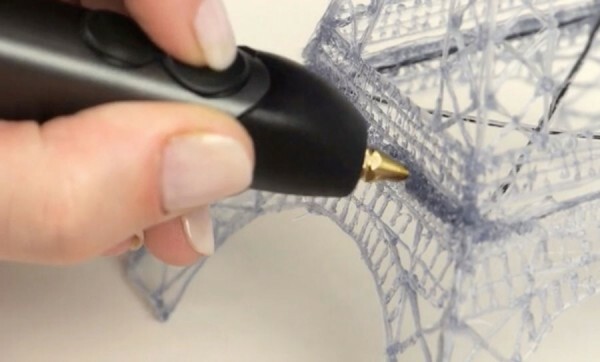 If the concept itself remains the same: a pen that can draw 3D plastic objects with flowing heated plastic that sets and holds in midair, the 3Doodler 2.0 version has been reviewed for performance and downsized to a thinner, lighter (1.8 ounces), and generally more comfortable and maneuverable form. The 3Doodler 2.0 draws in fast and slow speeds, as well as reverse and comes with 76 strands of mixed ABS, PLA, and FLEXY plastic in. You can also purchase bunch of new accessories like a DoodleStand for pen and “plastic ink” storage case, nozzle set or a pedale to give your fingers a break while building bigger projects! 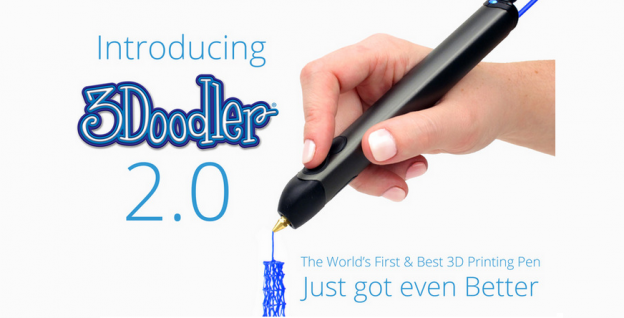 Share the post "3Doodler 2.0"
along with other person will even do similar for you.